Tips for a perfect backpacking trip to Thailand! If you are planning a trip to Thailand, that is one of the most widely visited tourist country, we suggest that you plan a backpack ride. This way, you will witness the beautiful nature, the surreal landscapes, the lush green mountains and the small villages filled with fields, animals and smiling villagers. It will be a truly inspiring as well as memorable journey for you. In this article, we are going to give you a few tips about what to expect during the backpack journey to Thailand, how to become a traveler and mingle in with the crowd and the best routes to take so that your backpacking trip becomes more enjoyable. Thailand generally is a cheap place to travel to, though north is comparatively cheaper than the southern areas like Bangkok. There are numerous cheap guesthouses in the glamorous cities of Thailand which charge as low as 300THB for a night while the ones in countryside cost 200THB. If you require an air-conditioned room, you will have to pay extra. Resorts are available for 1700THB for a single night. Among the best accommodations are Julies in Chiang Mai, Suk11 Guesthouse in Bangkok, Pooh’s in Ko Lipe and Green House in Khao Yai. 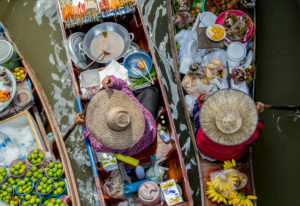 We suggest that you try the extraordinarily delicious street food in Thailand as it is one of the most favorites of almost every tourist and traveler who walks this place. 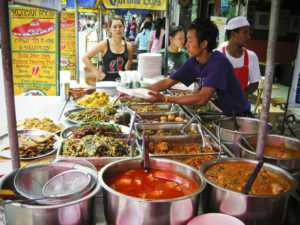 On average you will spend merely 35 to 50 THB and have an excellent filling food. Transportation in Thailand is also very cheap. You can board a local bus for only 8 THB while travelling through Metro and Skytrain can cost you 15THB to 50 THB. The cabs charge 60 to 100 THB for a ride. Ride via tuk-tuks is much more expensive. Thailand is a crazy country with a wide variety of people living here from numerous ethnicities. Your first stop should be Bangkok where you can visit splendor filled temples. Shops, palaces and markets and witness the fun and glamorous nightlife scenes. The food in Bangkok is incredible and this is something that you’ll always cherish. Visit Chiang Mai as this is a sacred land surrounded by dense green jungles and temples. Trekking through this place is always a pleasure; be ready for encounters with elephants! There are small markets here where you can purchase extraordinary handicraft items. Almost three hours to the north of Bangkok is Khao Yai Natonal Park which is an excellent hiking location. You can swim in the cool clear water and sit under the shades of trees while taking in the breathtaking beauty of the park. The nearby accommodation is Greenleaf Guesthouse where you can stay for the night. Khao Sok National Park is yet another superb hiking place where you can explore caves and jungles on foot while looking at the limestone krysts here and there. Breathe in the earthy smell of nature and water from lakes, mixed together as you head forward. Thailand has glorious islands that are a must see. These tropical islands hold a world of their own. Some islands are underdeveloped and others have developed fully over the years. 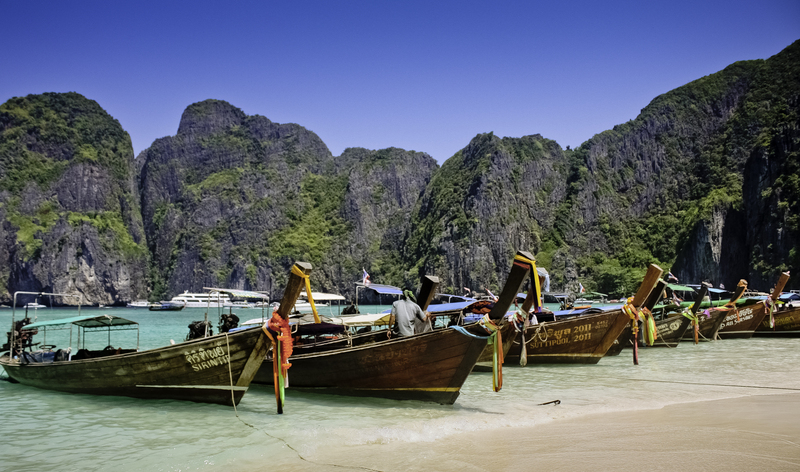 Some of the best islands worth exploring are Ko Samui, Ko Tao, Ko Samet and Ko Chang.